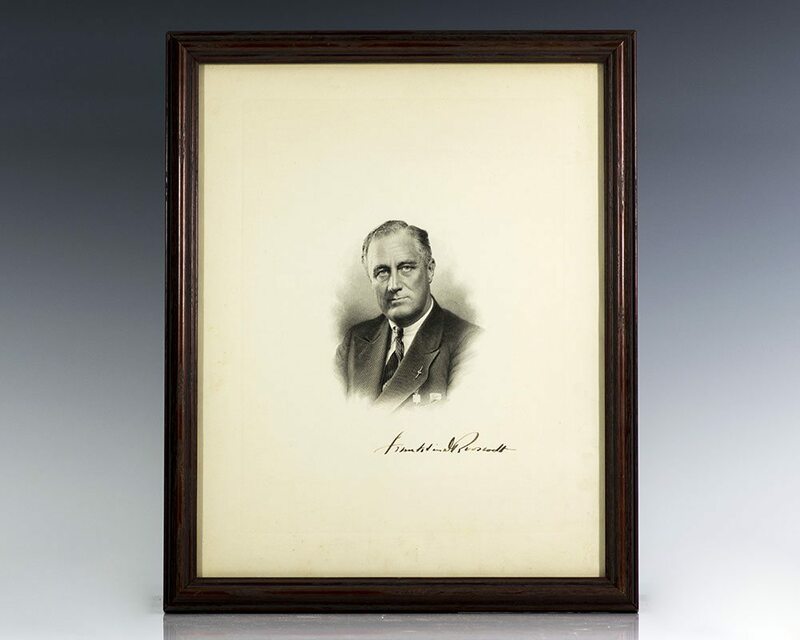 Franklin D. Roosevelt Signed Engraving. 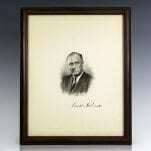 Large signed engraved portrait of President Roosevelt. 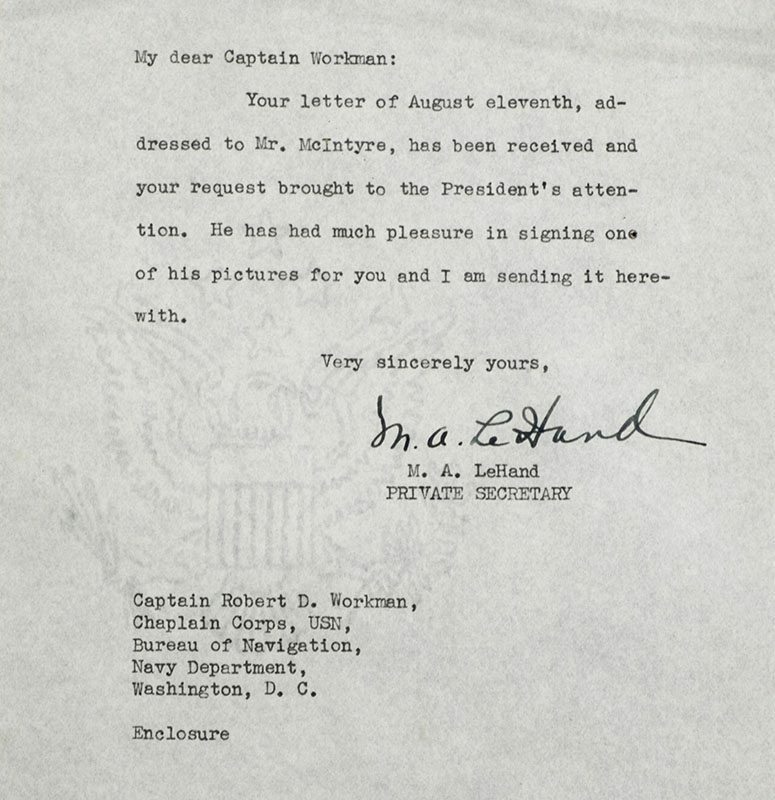 Accompanied by a 1937 White House transmittal letter from Roosevelt’s secretary Missy LeHand. The engraving measures 10.5 inches by 13.5 inches. 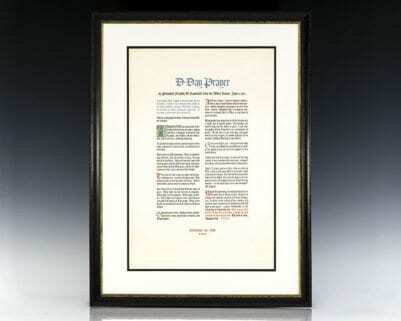 Framed: the entire piece measures 12.5 inches by 15.5 inches. 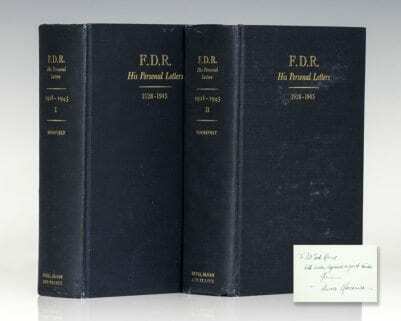 Franklin Delano Roosevelt was an American statesman and political leader who served as the President of the United States from 1933 to 1945. 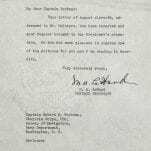 A Democrat, he won a record four presidential elections and dominated his party after 1932 as a central figure in world events during the mid-20th century, leading the United States during a time of worldwide economic depression and war.